Fine. Audio book. Factory sealed. New item with possible minimal shelfwear. May have remainder mark. Carefully inspected. Leaves our warehouse same or next business day. Most continental U.S. orders lead time 4-10 days. Thank you for your business. Like New. New and unused AudioBook. Remainder mark on UPC. Audio CD Used-Like New 2015Abridged. I always wanted to buy the book Steve Jobs but I don't have the time to read it. I decided to get the audio book version, and I love it. 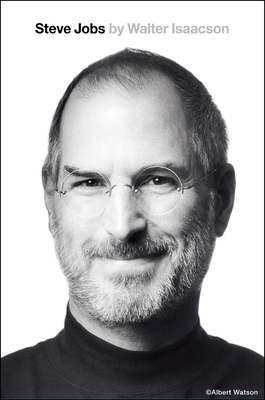 The way is narrated gives me a different view with fuller details about Steve Jobs the man. You become aware of how difficult it was to be around him, but at the same time people craved his attention. In a world of dog eat dog Steve presents a powerful challenge to both his enemies and friends. The quest for perfection is a difficult to endure but along the way many technological "miracles" seemed to have happen thanks to the tenacity and guidance of this man. I gave it four stars as I believe that many times the author writes about other characters and centers some chapters on them, and for me this is a waste of time reading about other people more than I should. Full with fascinating information about an eccentric genius. Surprisingly readable book which never lags. No apologies for a brilliant and flawed individual who genuinely helped create the modern digital era. Job's perfectionism was matched only by his serious disregard for most other people. Most importantly, the book is a fine read and well worth the time that it takes to read it. For all of us who began to use PC's in the late '70's and early '80's. Now I understand why I couldn't always "power use" them - they did not have the capabilitis we wanted and expected. This book was a page turner for me and confirmed the genius of Steve Jobs!